This book took me forever to finish. Not that it was because it was bad, but because I have so much going on with school! I'm really working a lot on homework and preparations for my class that I just don't find the time to read. At all. Luckily for me, the midterm break arrived and I had exams. When I have exams, I tend to read even a lot more. Weird but hey, I love it! 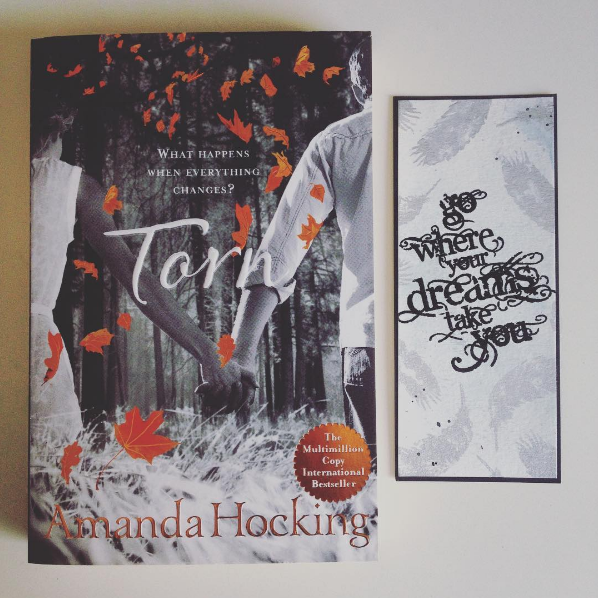 Today's review is about Torn by Amanda Hocking. Note: this is the second book in the Trylle-trilogy, I recommend not to read on if you haven't read the first book in this series. There have been developments in this book and that means you will be spoiled after you read this review. 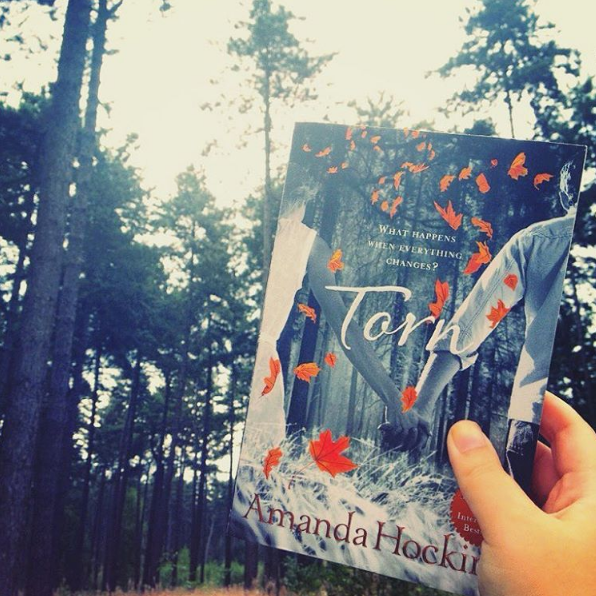 If you want to know what this series is about or you're interested in the first book, here is my review on Switched by Amanda Hocking. Wendy now understands why she's always felt like an outsider. But accepting a new life, in a new world where her brother, Matt, isn't a part of? That's something she just cannot accept. Wendy decides to leave her real family and find comfort in her old life, with the people she absolutely loves. But her real world won't let her go that easily. The enemy is just around the corner. There she finds a whole new truth to who she really is, and what she's capable of. There was a time where she thought there was a line between good and bad, but now Wendy understands that there's more to it than she once had thought. With all the new information, Wendy escapes and gets back to Förening. There she'll have to make a life changing decision: who will she stand for? First of Wendy, my bookgods! Did she make progress! This book really concentrates on her being the heir to the throne. There's not much time for her adjusting or hanging around the people she loves. She's constantly being thrown from one meeting to another and if she isn't busy with meetings, she's busy studying or visiting the enemy so she can understand what the hell's going on. Wendy is really growing into a woman that knows how to act and how to be. Above that she's growing into a very good princess. Of course things only got that way by one particular event and how that one turned out. The enemy provides her (and us as a reader) with a lot of information we didn't even know. This is the part where we see Wendy grow into someone who'd sacrifice a lot and I really loved to see that happening. The feeling she's having during that part and the moment she wants to sacrifice everything, will be a major thing in the book. I did like it that Amanda Hocking repeated this feeling in new and hidden ways but you still were able to detect it and enjoy it. As for Matt, he's here again! The last book, we saw Matt mostly in the beginning and not much after that but now he's here for the bigger part and that's great because I heart Matt! He's still his usual self, although there'll be something in store for him too. It's amazing to see how he reacts on everything and how he handles things. This gives us much more information and perspective on how Matt really is and what he loves and doesn't love at all. Also once he learns the truth, he doesn't reject it and still stands by Wendy no matter what. Ah, I still adore this character! As for Finn, I adore Finn. He's like Matt but then in another way! I did wish to see him more in Torn but I was left hanging on that part. Things went a bit south, we know that by now and it's still affecting Wendy and their relationship. Above that she doesn't have all that much time to catch up with him since she's being full-princess-mode but I did wish to see Finn more and to clear the air because really? Who doesn't want Finn back around? We'll see how that one goes in the last book too. To conclude the part about the characters: I was absolutely satisfied with seeing them grow. We did see Wendy grow the most and that might be because she's getting a lot of tasks and so on. However, the characters were the best part in this book because we got so many details and therefore covered more ground about them. We've gotten to know them on a bit of a deeper level, especially Wendy. But now the plot, I have to be honest and tell you guys I was left hanging. Really. The first book really gave so much to us. All the information and then you were thrown in a fight here and a fight there and there was action, suspense and feels everywhere. Where was it? Torn isn't bad, I mean I really enjoyed it but I absolutely missed the action. Instead of action, Amanda Hocking decided it was about time for us to learn more about being a princess. And that was a nice thing too (however I still need and want action). We also got time to process information, which we didn't have in the first book we just continued and followed around just like Wendy. Now we got time to think things through, to find out who's good and bad and more importantly we learn more about the characters and how much freedom they really have. Because this book does concentrate on the bars hanging around people. No matter who you are or where you are or who you're with: there's always some bars hanging around you. The book really illustrated this well and the characters will go in a discussion about this topic. I just think it was nice to see it because it gave yet another perspective to the characters. Also, this time around we got to see Elora more frequently and she also surprised me and scared me. (But I can't tell why because that'll spoil things). Elora will give a few twists to the plot and to the truth we all believed in and that's a good thing about the plot. It still makes you question things and see that there's always another side to the story. 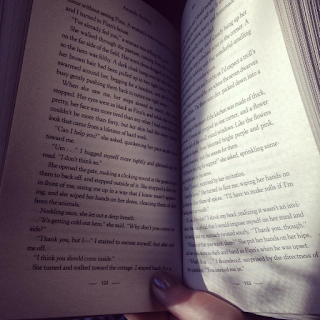 Another thing that was different from the first book was the love. In book one there absolutely was some romance lingering somewhere. Here? There's no time. Wendy needs to get ready, she needs to become the greatest and this causes no romance. Of course there'll be tension and parts where romance will be which gets us to the feels part. I wanted that tension and romance between the characters a bit more so I could, you know, enjoy this moment filled with feels. Other than that there will be parts in the book where there'll be doubts about feelings such as love and this made my heart die and relive a few times which I think is great about the book. 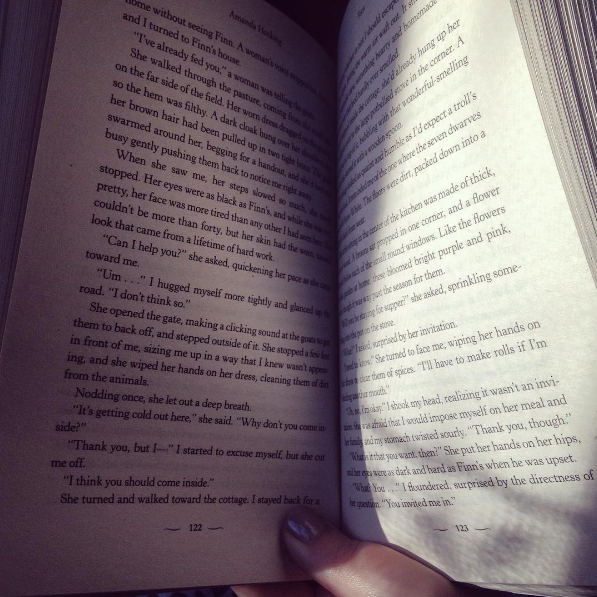 I love it when books make you split apart and adore and hate and get heartbroken by it. It's amazing. As for the ending: what? It was so abrupt. I was just reading, the page got blank at the middle so I turned it for the next chapter... where did that chapter go though? There was no chapter after it! It was done. I really wasn't liking that. I didn't think that was the ending of this book. So yeah, it left me hanging there. It was so abrupt and sudden and not logical and I was so disappointed. I did enjoy this book though, but not as much as I did the first book. Torn shows us everything there is to know about Wendy and that's great. Even more so, we finally get to see what a princess has to know, should be capable of and how much freedom she really has. That was a great asset to the book! However, I really missed the action in this book. The first book bombarded you with all this new information and kept the story alive with tension and action, this book didn't really do that to me. Above that I also thought that the ending was quiet abrupt which I wasn't loving at all. Even though I didn't like it that much, I still recommend the book because we get to process everything and learn stuff about everybody and see more details. This covers new grounds about the characters which I was a fan of. However, book two will never be my favorite in the series! "Not all prisons have bars."